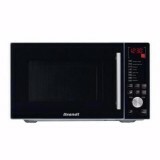 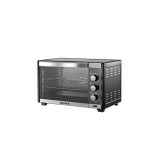 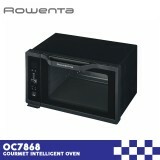 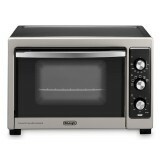 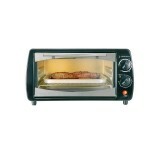 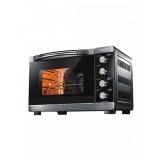 Brandt SE2619 B 26L Electric Microwave .. 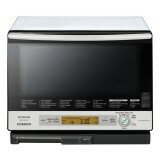 Healthy Cooking Triple Weight Sensor Full-Color Recipe Book .. 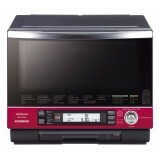 Healthy Cooking Super Grill Tray Triple Weight Sensor Full-Color Recipe Book ..
Adjustable Thermostat from 100- 250 Degrees Celcius 60 minutes timer Top & Bottom Heat Selection Convection Cooking + Rotisserie Function Power Indicator light + Internal Oven light Big Control knob for easy operation Full Lenght Door Handle Acces.. 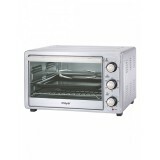 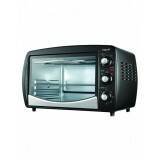 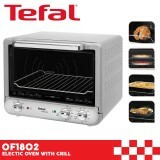 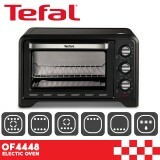 Features Adjustable thermostat from 100 to 250 Degrees Celcius 60 minutes timer 4 pcs stainless steel heating elements Function: Convection/ Rotisserie/ Internal Light Power Selection: Upper/ Lower/ Both 304 Stainless Steel Door Handle with New Knobs Tr..
12 Functions Top Heating (Fish, Baking, Seafood) Top Heating + Rotisserie (Skewer, Chicken Wings) Bottom Heating (Cakes, Steaks, Meatballs) Top/ Bottom Heating + Convection (Cakes, Steaks Meatballs) Top Heating + Convection + Rotisserie (Nuts) Top Heating + C.. 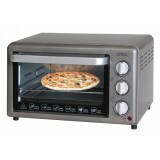 Fits 10'' Pizza 90- 240 Degrees Celcius 60 Minutes Timer Function Available Power Indicator Accessories: Grill Rack, Food Tray & Crumb Tray 3 Heat Functions - Upper Heat &.. 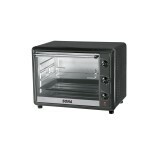 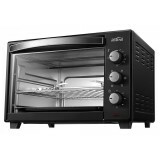 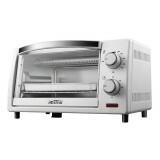 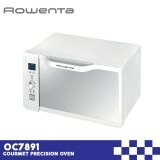 Fits 12'' Pizza 100- 250 Degrees 60 Minutes Timer with Bell Basic + Rotisseries + Convection Function Built- in Internal Light Power Indicator Accessories: Baking Tray, Grill Rack, Crumb Tray & Tongs (for Rotisserie) Warranty: 1 Year..
60 minutes timer 100- 250 Degrees Celcius Temperature Control Power Indicator Fits 8'' Pizza Upper & Lower Heating Accessories: Baking Tray, Grill Rack ..
Rowenta OC7868 Gourmet Intelligent Oven (38L) FEATURES: ..
Rowenta OC7891 Gourmet Precision Oven (38L) ..
Sona SEO2235A Electric oven 35l Huge Capacity 35 Litres 220-240 V~ 1500 Watts 50/60 Hz Rotisserie Grilling Function 60 Minutes Timer Temperature Ranging To 250 C Wide Angle Door Lid Power On Indicator ..
Sona SEO2260 Electric Oven 60l Huge Capacity 60 Litres 220-240 V~ 2000 Watts 50/60 Hz Temperature Ranging To 250 C Wide Angle Door Lid Power On Indicator Convectional Fan Function 90 Minutes Timer Rotisserie Spit Grilling Function 2 Cookies Baki..
Sona STO22A Electric oven 10l 220-240V~ 800W 50/60Hz 2 Selector Knob 60 Minutes Timer Up To 250 C Temperature Power Indicator Ideal For Pizza / chicken wing ..
Tefal OF1802 Electric Oven (30L) ..
Tefal OF4448 Electric Oven (19L) ..